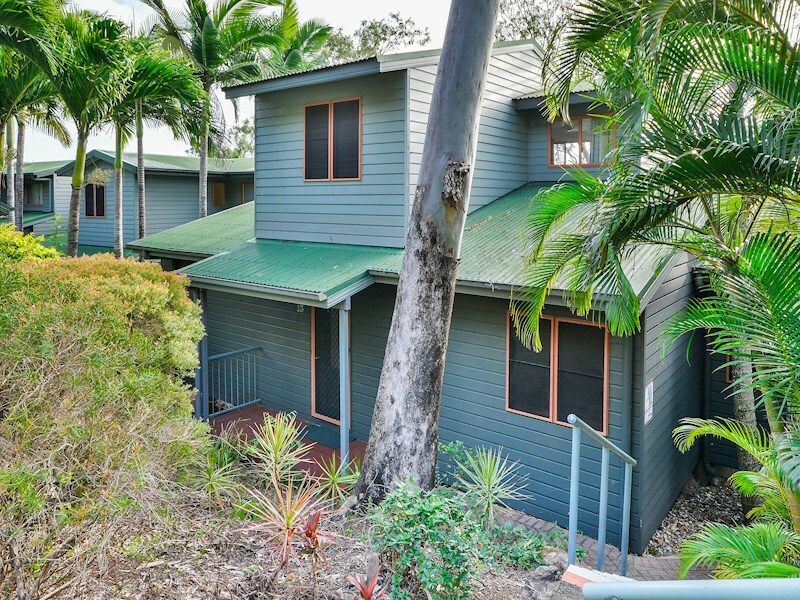 Bright two bedroom townhouse with water and island views. 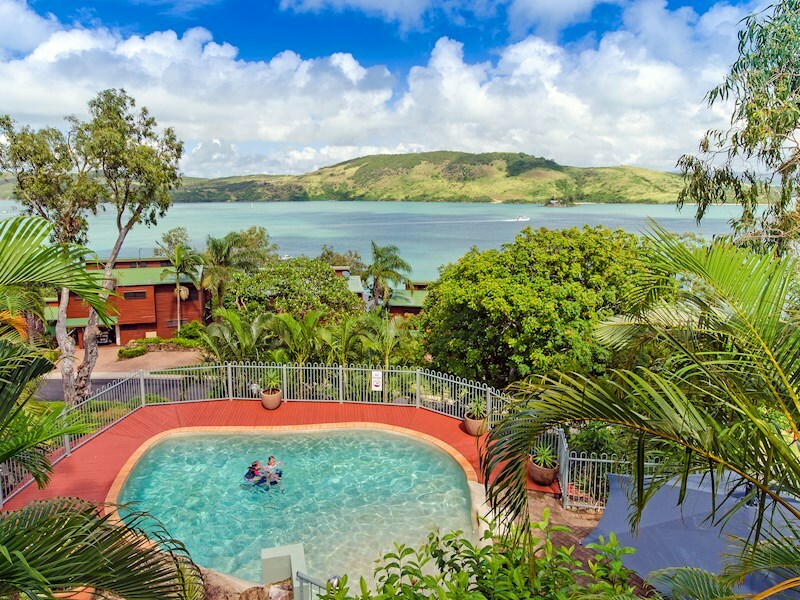 With an perfect location near the Hamilton Island Marina, this two-storey townhouse offers ocean views, a shared lagoon pool and two spacious bedrooms. 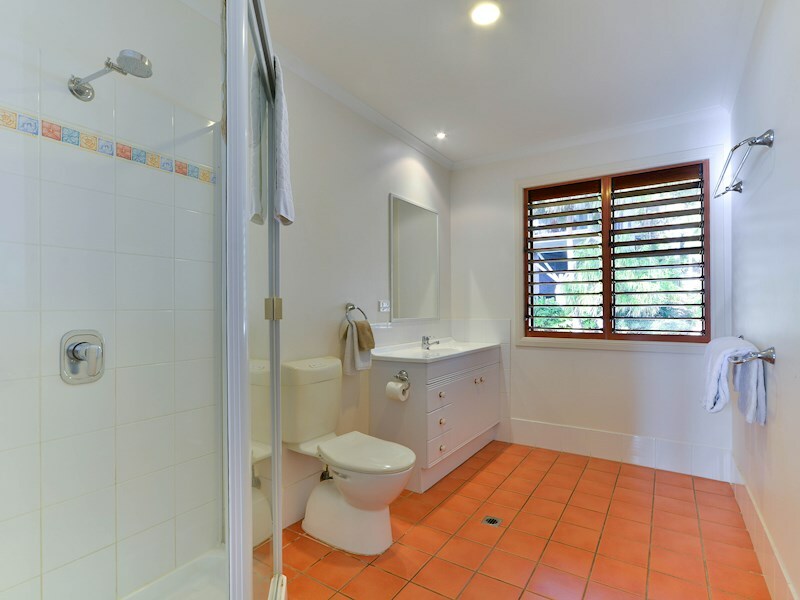 It is also surrounded by established and lush tropical gardens. 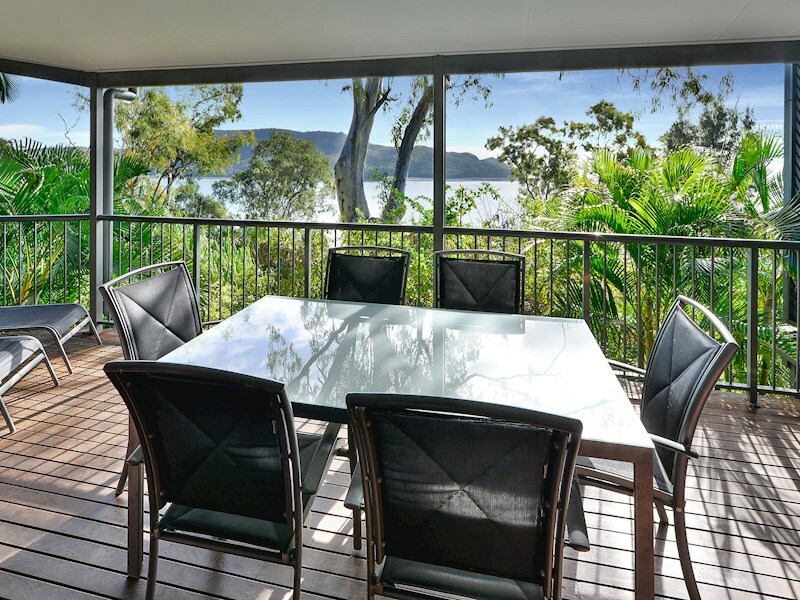 Enjoy superb sea and island views from both levels of this townhouse. 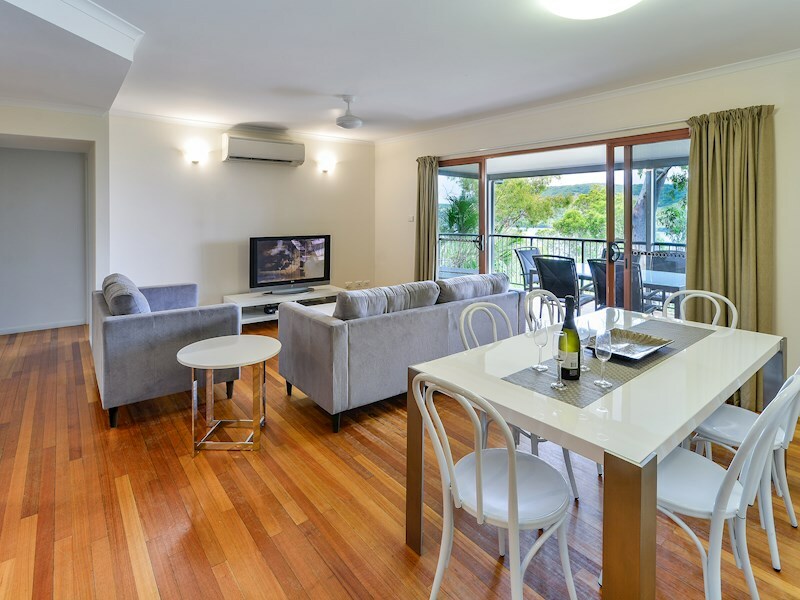 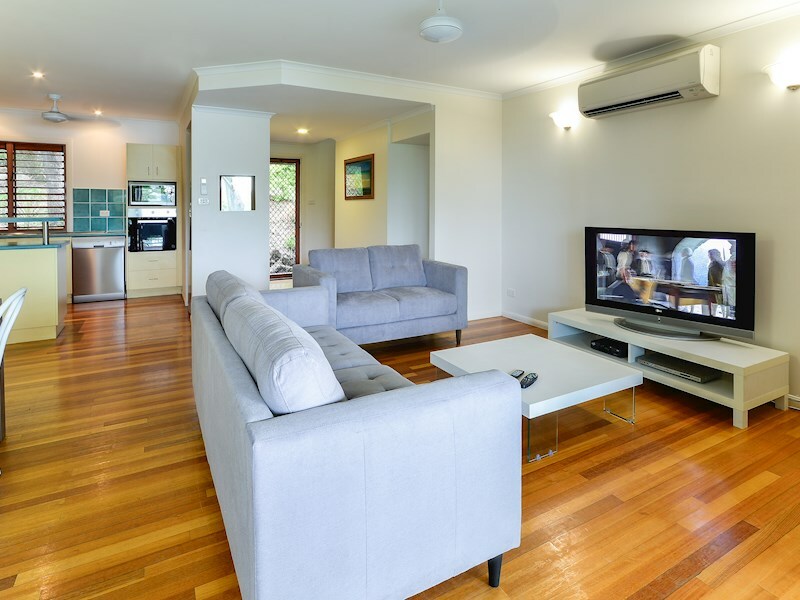 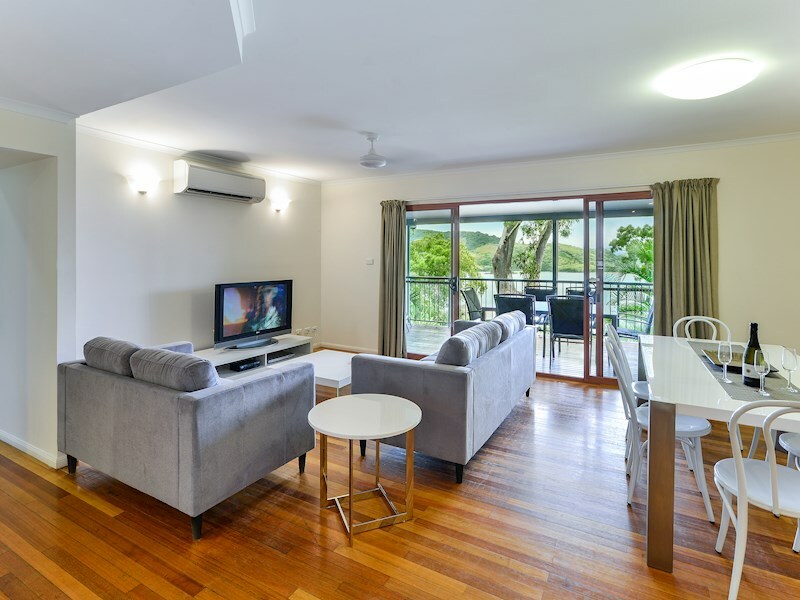 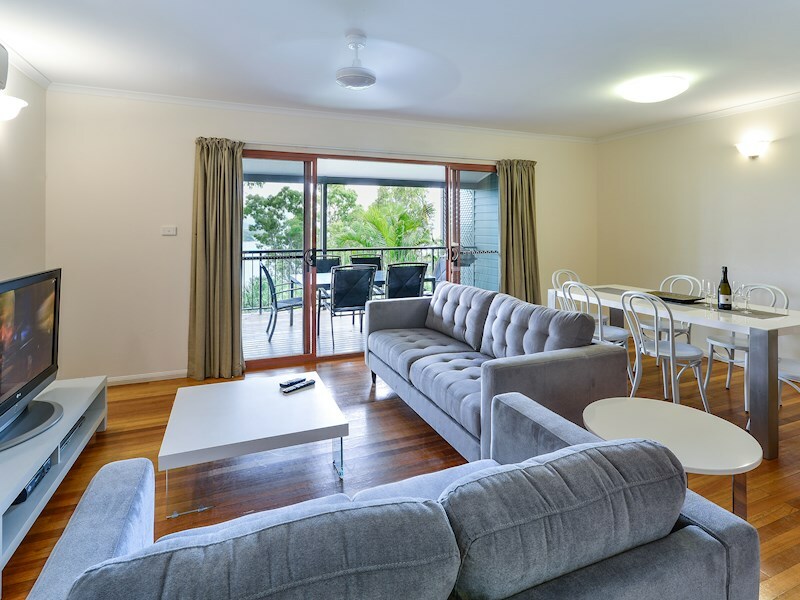 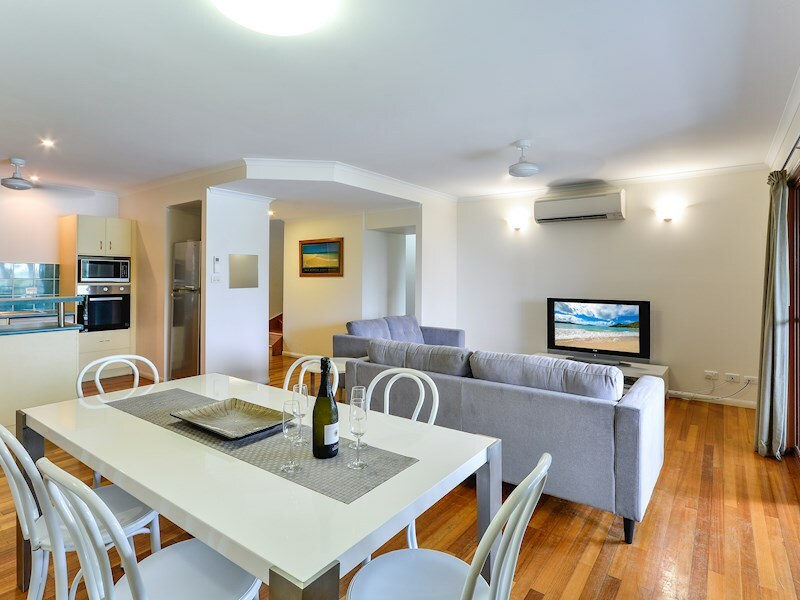 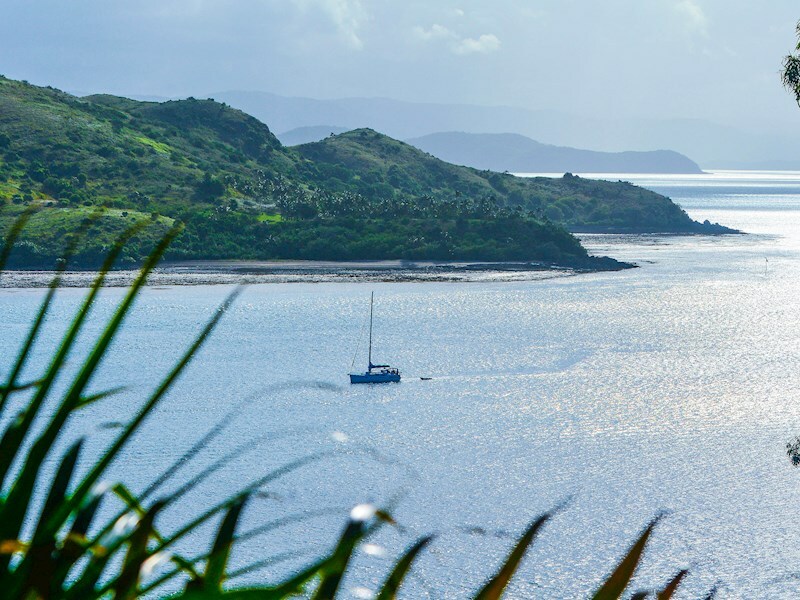 With a convenient location in a quiet cul-de-sac near the Hamilton Island Marina, you're a close walk to all the shops, bars and cafes on Front Street, and a short buggy ride to everything else the island has to offer. 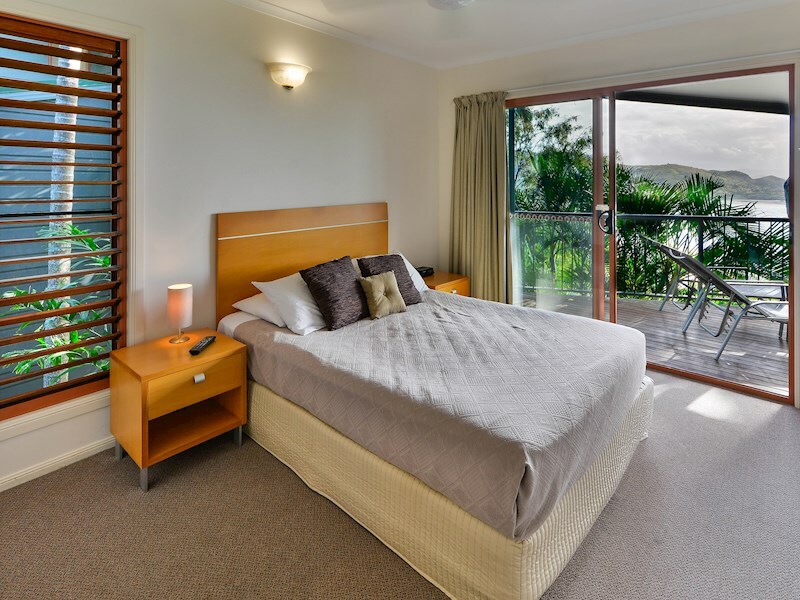 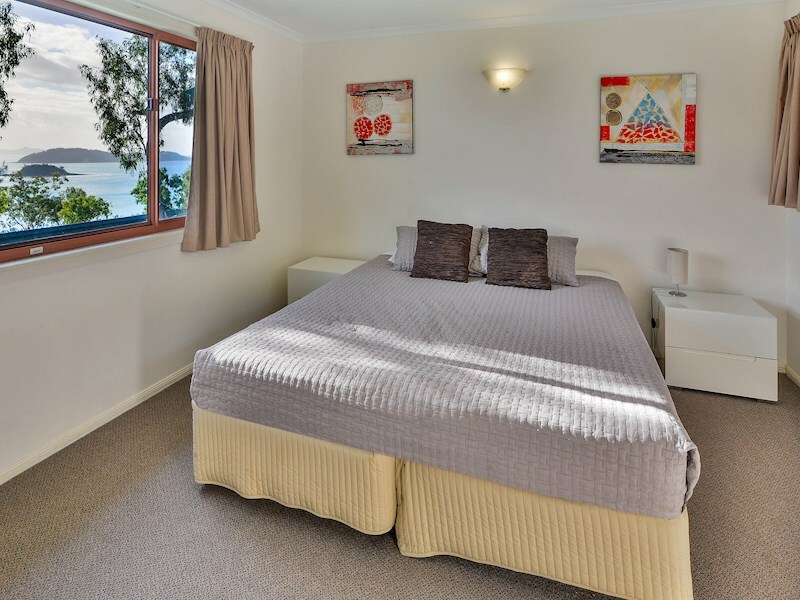 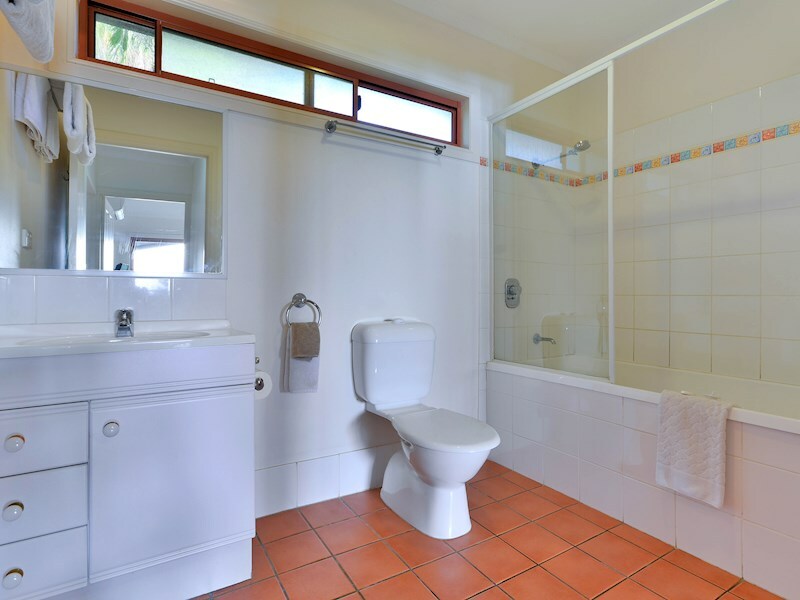 Set over two levels, this accommodation features two spacious bedrooms. 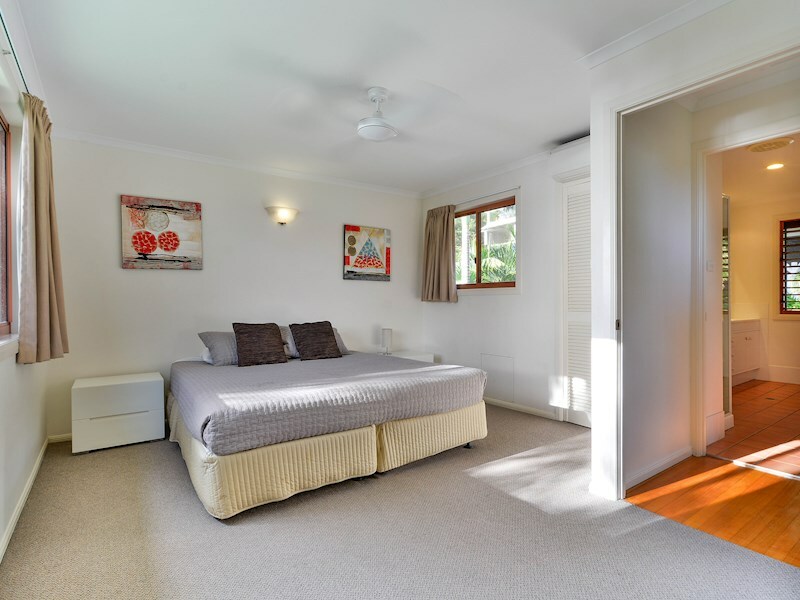 The master bedroom has a queen bed and an ensuite, and the second bedroom has a split king bed. 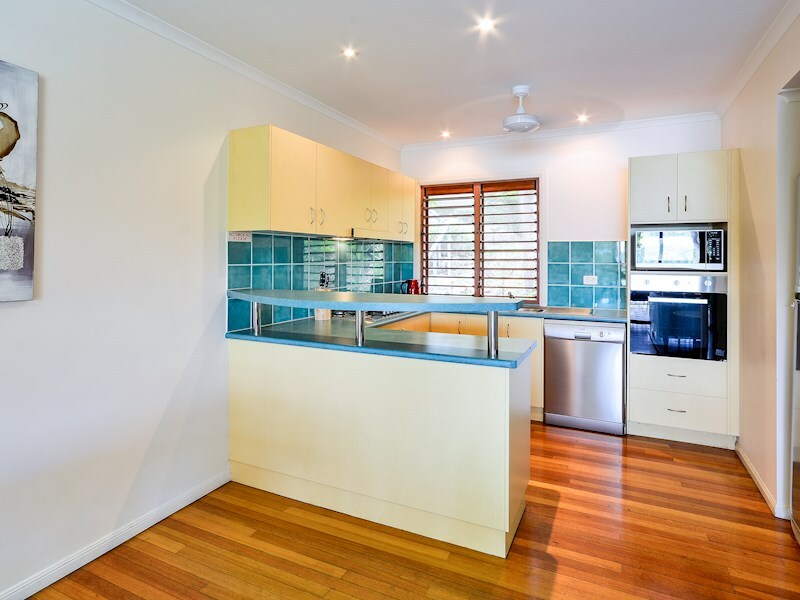 The modern and well-stocked kitchen makes self-catering a breeze. 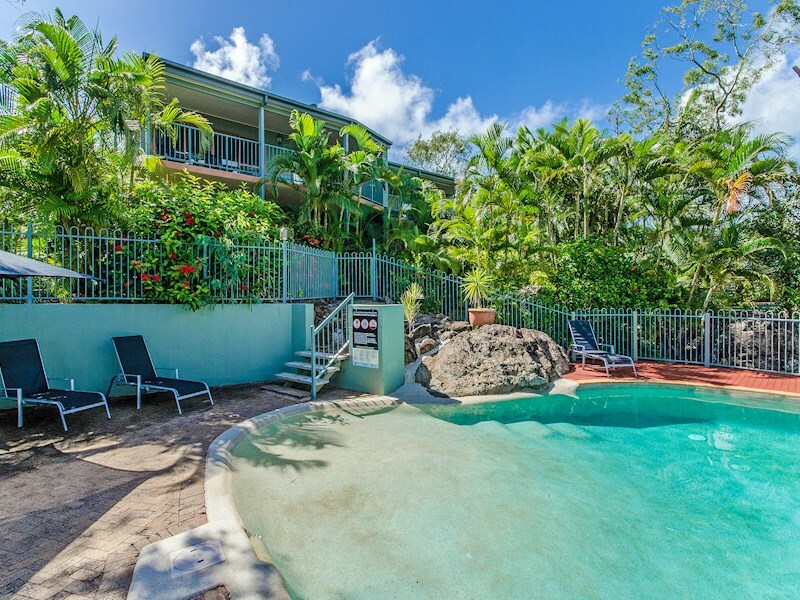 As a guest of Heliconia Grove 13, you have access to the complex's shared lagoon pool. 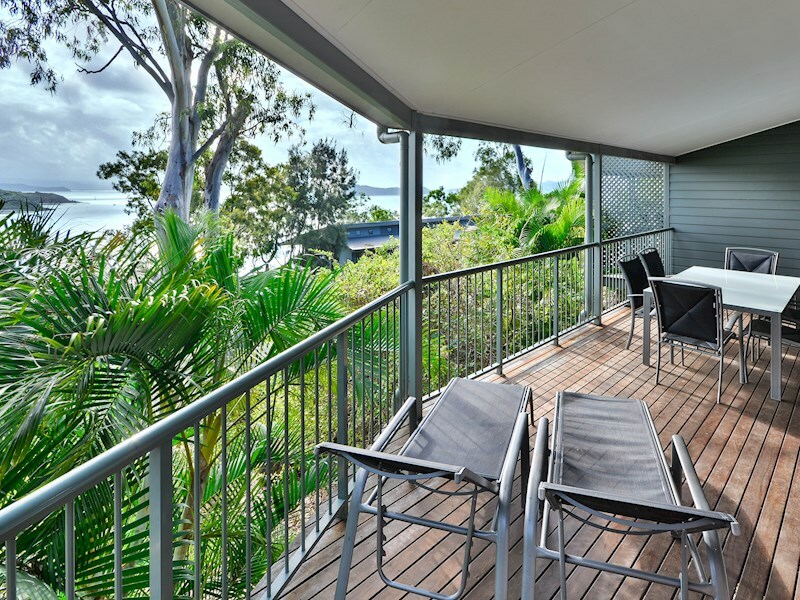 A spacious balcony adds an extra living space. 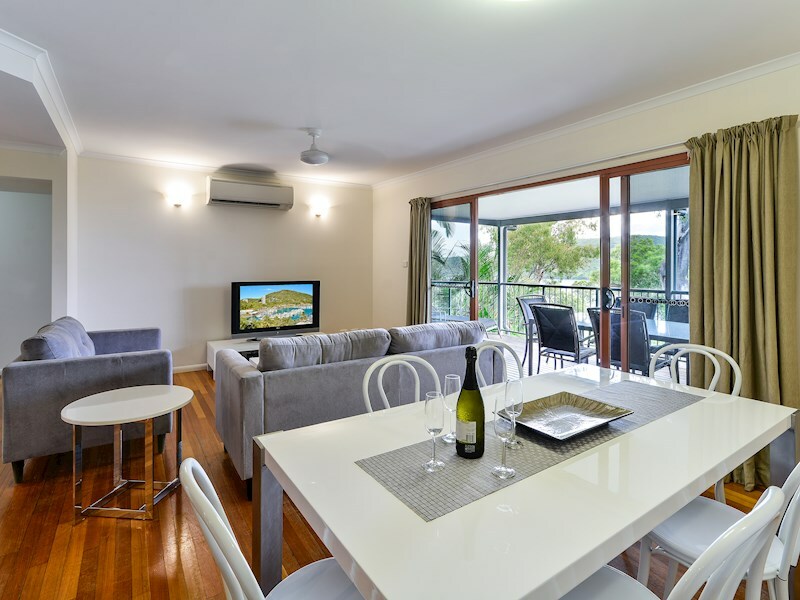 With a BBQ, outdoor setting and two sun lounges, it is an ideal place to enjoy the stunning Whitsundays' sunsets. 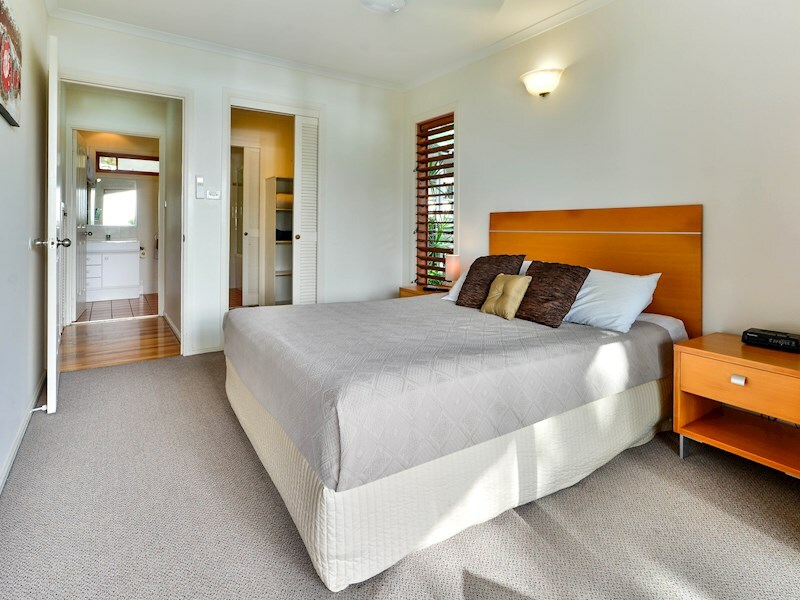 For babies and toddlers, there is a cot with linen provided, and a high chair. 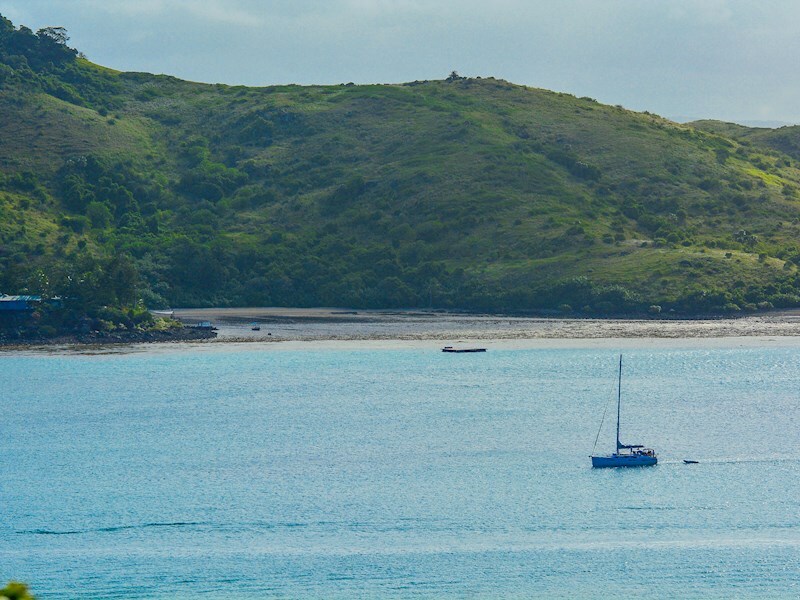 There is also a stroller which you can use around the island.